The arrival of the Elite Men’s field at the first run up was announced by a chorus of cowbells. Cameras raised like a 21 gun salute, were dropped or misfired when photographers got stunned by the furious blur of Belgium Blue, Dutch Orange, red, white, and a splash of the Stars and Stripes. What cyclocross fans and the media had seen in the States until last weekend was intramural league and this was like witnessing a colorful running of the bulls, a cyclocross SuperBowl. The Belgians and Dutch appreciated the World Championship effort in Louisville, but let us know it’s their sport, bigger than soccer or golf even in their countries. In the junior category, Logan Owen had a bad hand dealt to him and US crowds have never seen him ride that angry. Their cheers would signal his arrival at spots around the course, like a sonic version of a crowd wave. Logan moved up from the lower third of the pack into 4th, a step away from the podium after getting caught in a crash and dropping a chain twice. The cards dealt to Logan began with a false start. He over anticipated the start light sequence and was still repositioning when the green light flashed. He then had to fight to close the gap to the front of the pack. 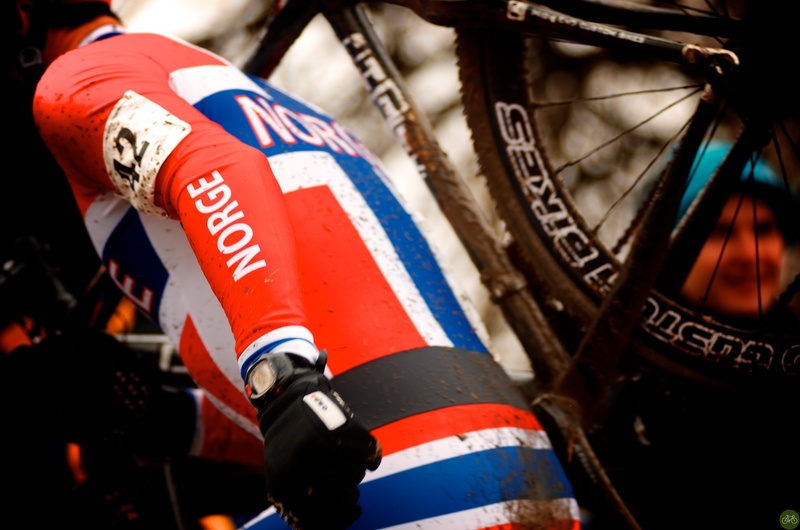 The mishaps kept him out of medal contention and, to the heartbreak of his fans and supporters, off the podium. Logan was America’s best male finisher with a suffering, emotive face, the crowd felt every second of his failed effort to podium. There was as much drama too off the course as on, with an event that nearly didn’t happen because of budget failures and a river about to flood. The organizers were nervous as to if a crowd would show up or the rising Ohio River would wash the event out. 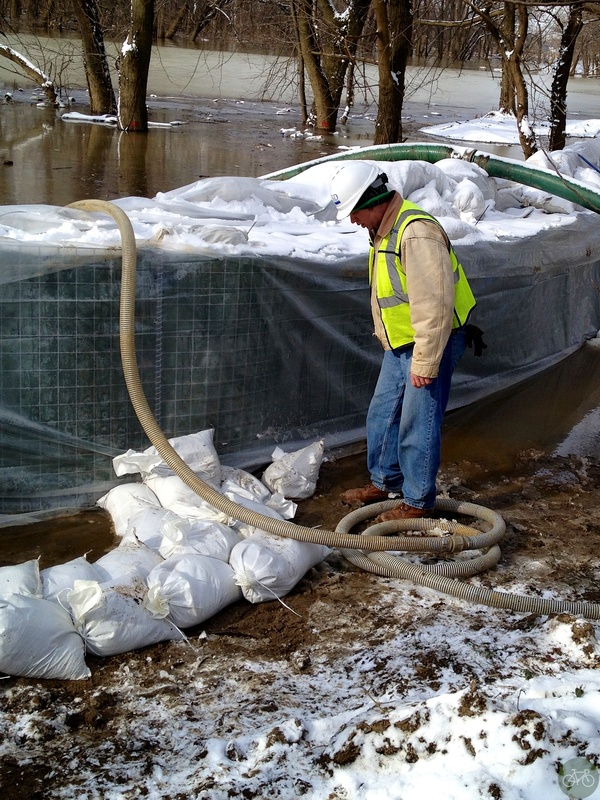 The fans arrived with enthusiasm and deafening roars, while the levee held with workers monitoring sump pumps. 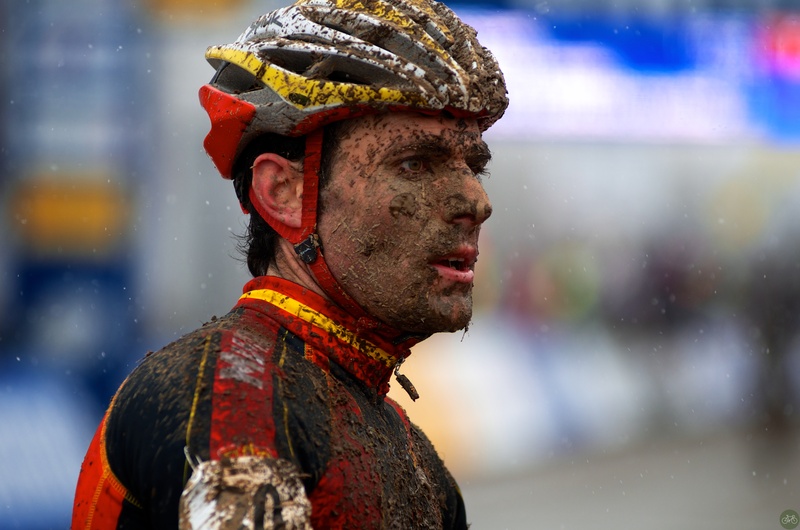 In the VIP tent, where many were camped out, the Belgians said, “It’s not like Belgium, but a good effort.” Agreeing, we toasted as their man, Sven Nys, went onto win the Elite Men category. A Belgian sports website headline read, “Crazy Americans accounted for unique atmosphere in Louisville.” An event of this stature on the World Cup schedule would attract 50,000 attendees and 8,000 were in Louisville. They cheered like a football stadium though, with chants of “USA, USA, USA!” Despite hosting the event, the only US medal was won by Katie Compton in the elite women’s field. 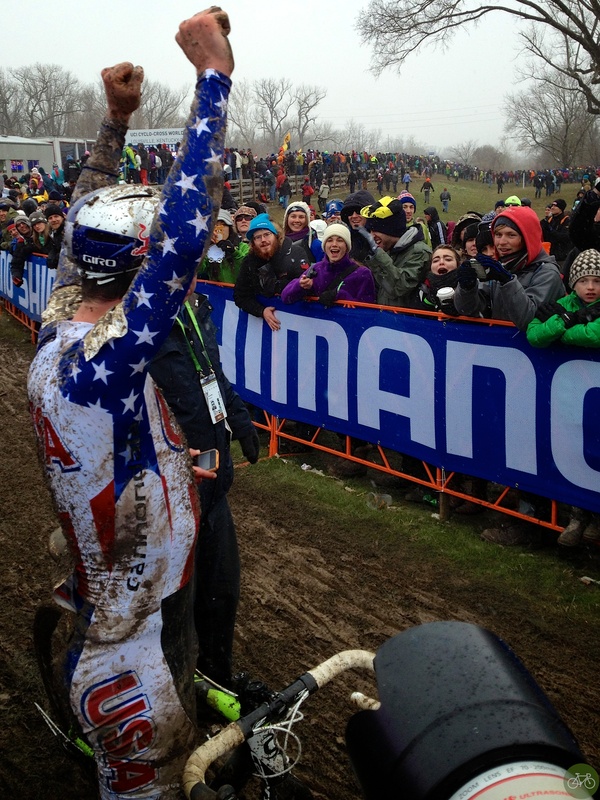 Most fans into the sport knew this was a once in a lifetime event on American soil. The growth of the sport brought it here for the first time outside of Europe. It’s doubtful a World Championship will ever return. Knowing they had one chance, fans partied like it was 1999 in the muddy grass fields. Most stood in the muck drinking beer, and others wore colorful costumes while waving at the assembled media. 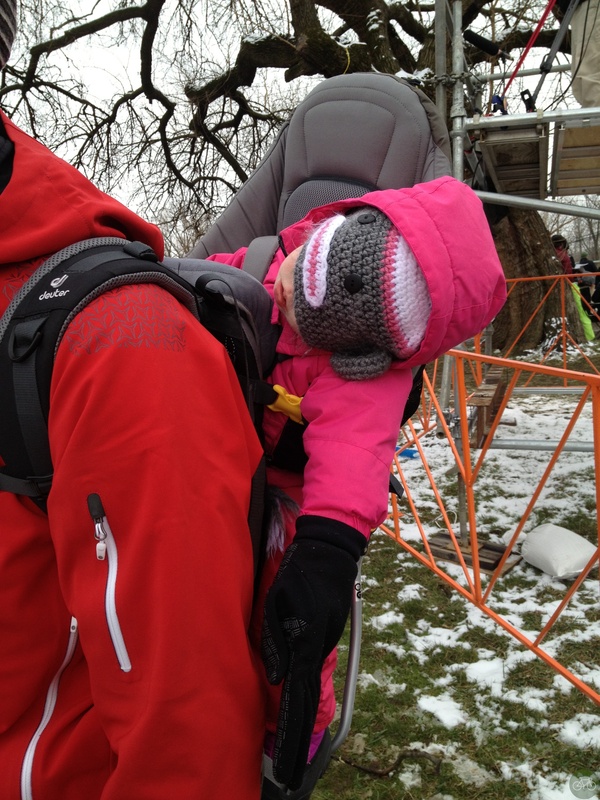 Flag bearers ran about, families had lunch, and infants slept through the finale bundled up in backpacks. As much as Americans love a winner and a hometown sports hero like Logan, they love the underdogs that keep trying too. Crowd favorites included off-the-back racers from Australia, New Zealand, Japan, and Hungary. Earlier in the week, before the big show, the World Championships were held for the Masters categories. That’s the amateur old men, women, and former pros of the sport. 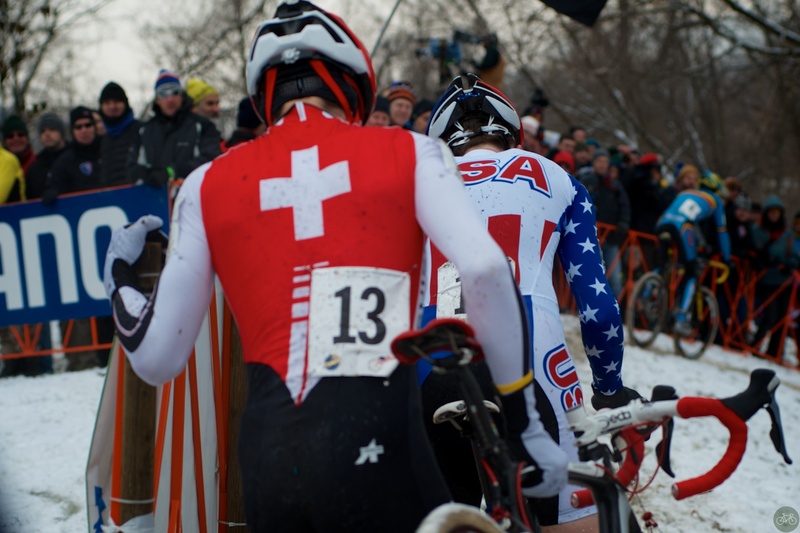 For them, the week was like a cyclocross fantasy camp. They raced each other across a frozen mud bog, then around town saw their favorite pros riding or eating wings and things at Hooters. Our hotel hosted the Belgian delegation. At the bar we met luminaries of the sport like Nys, Wellens, and even a fan upset about doping who wore a provocative chicken suit while drunk. 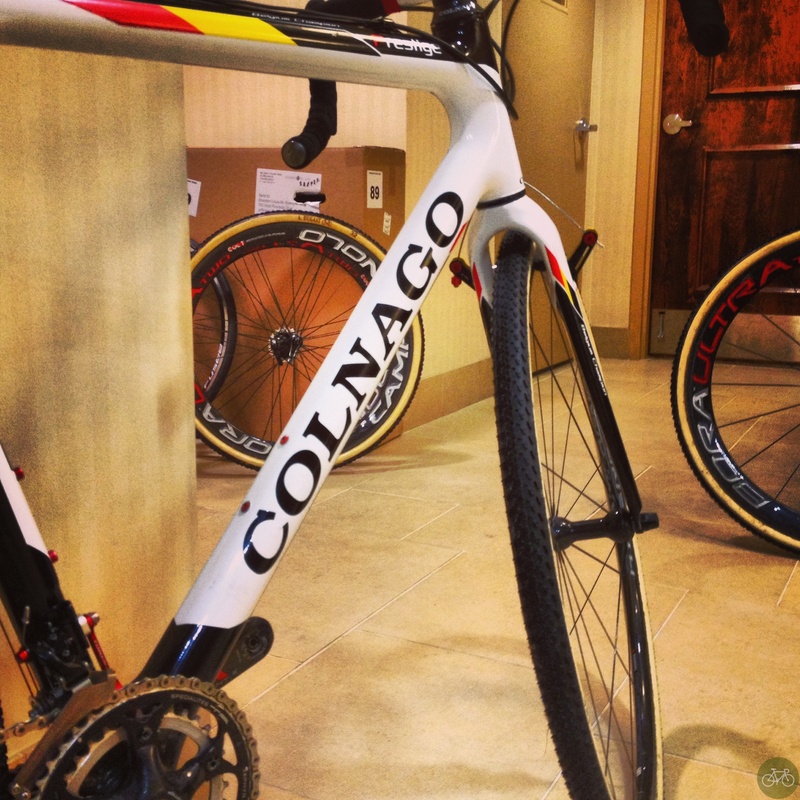 It was fanboyish at times, when a Pro was spotted. Will he or she look over? Can we take photos? So exciting to see one at Hooters drinking a Bud! 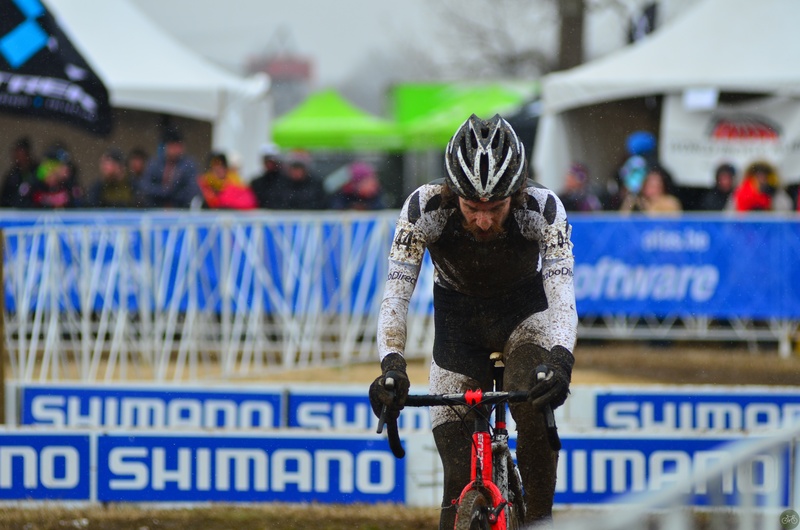 For a niche of a niche sport, American cyclists have adopted as their own, we can be proud of Cyclocross Worlds in Louisville. Elated fans grabbed signage from the venue as they exited, mementos of a time they won’t soon forget. 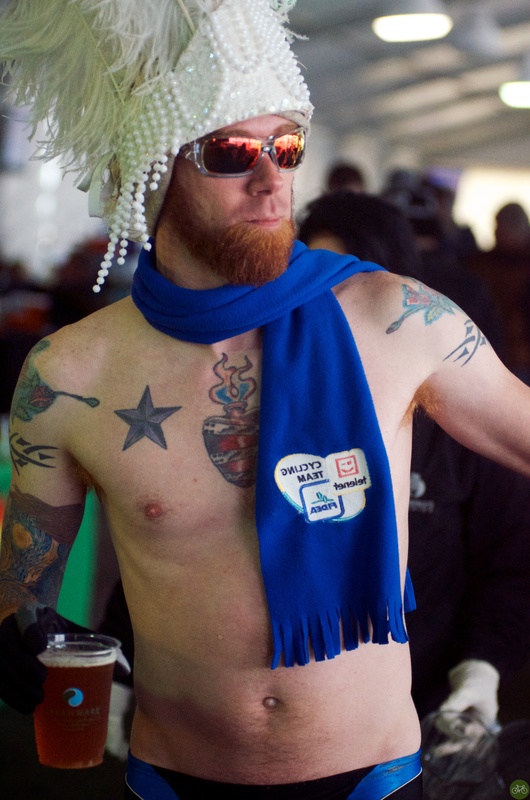 Fans had won their own Superbowl of cyclocross. Not like Belgium or Holland, of course, but a good effort. 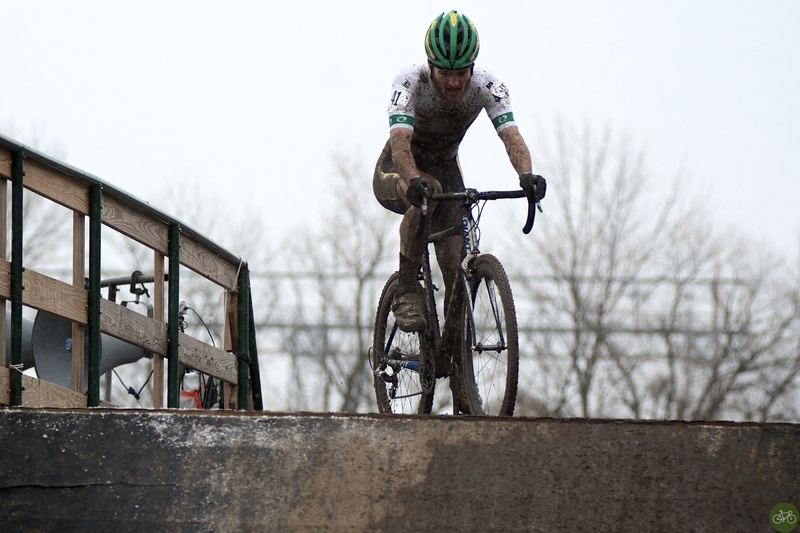 For the uninitiated, Cyclocross is a road discipline raced on dirt and mud in the Fall/Winter with barriers for the athletes to cross, like a steeplechase or steep, muddy embankment. Fans love the intensity, suffering, and technical skill required to compete. Over a century old, the sport is growing rapidly in the States with record attendance at races in 2012. The scene is welcoming with a “you can do it too” spirit for those that want to try it. There’s likely a race series near you with many competitors, at all levels, having fun or setting personal best lap times. A select few of them move up to the Elite categories, like Logan and his competitors.